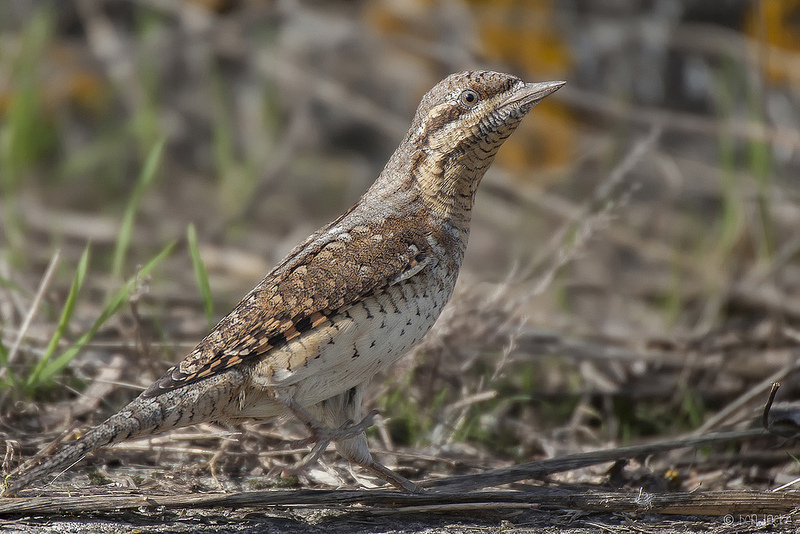 The Eurasian Wryneck is a member of the woodpecker family of birds. With their cryptic plumage they look quite different to the other three members of the woodpecker family seen in Britain. They are most often seen on the ground, scouring it for ants, their main food source. I photographed this particular bird last year in Gloucestershire. It's a rare migrant in the UK, which sees around 250 birds a year according to the BTO.